Solagratiamom: Teaching Math Biblically - Review & Giveaway!!! Teaching Math Biblically - Review & Giveaway!!! How do we go about teaching math to our children Biblically? What does that look like? Do we just make sure all their math papers have a Bible verse on them or perhaps we make sure all the word problems are about Church related stuff? Do we look at verses like Deuteronomy 12:32 "Whatever I command you, be careful to observe it; you shall not add to it nor take away from it." as proof to our kids that God is in math? Since the Classical Conversation's Practicum over the summer (which focused on Math) I have pondered these questions and more, concerning how I could approach math in a more Biblical fashion to teach my children. We've had conversations while on nature walks or at a museum, about how God obviously had to use math to create everything. You can look at bugs, flowers, trees, animals and humans to see consistency, symmetry, numerical factoring etc. It's obvious that God has used math to build everything He created. We've discussed how important numbers must be since God repeatedly uses specific numbers throughout the Bible. However, it still felt like there was something missing to my understanding of how God and math related. I began to notice I myself had a very big "hole" in my thinking concerning math and God's relationship to it. I wasn't really sure why or if, math really mattered to God beyond the initial creation event and I still viewed math as a "neutral" subject when it came right down to it. I didn't think math really had an ideological allegiance one way or the other - it was just math because...well, math is math - right? Math was not a strong suit for me in school and I didn't "like" math that much. I often remember thinking "Why do I have to learn all this stuff?" It seemed like just a bunch of rules and formulas and things that made little sense to me because they had no tie to anything "important" in my mind at the time. I would memorize things just enough to pass a test and then forget it all afterwards. I didn't see the bigger picture to math. However, if someone had told me that math was a view into the mind of God and that it showed me how God ordered the world to work and the way in which God sustained His universe...I might have been more interested and understood the "why bother" to learning math! Well, someone has shown me those things about math and more....it's Katherine Loop! 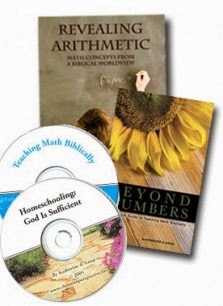 She has written a homeschool resource that I think is a must have for any Christian homeschooling parent endeavoring to teach math to their children Biblically! Katherine's written and spoken words will challenge you personally, as you read and evaluate how you may find you really see math yourself and how you may be teaching it to your children. She will also help you to see God in the world around you in a new and more meaningful way. Prior to reading her book I would have answered yes to the question "Are you teaching your children math Biblically?" but now I realize how short sighted I was, thinking I had been achieving that goal. Her book spurs you on to realize that there is so much more to how you can see math and how you can teach your children to see AND love math! ENTER RAFFLE BELOW TO WIN THIS PACKAGE!! After receiving the Homeschool Package, I wasted no time reading through her materials and listening to the two CD's. The first book I read was Beyond Numbers. This book is a fantastic book with some great mind shifting concepts concerning God and math. I realized after reading it that math is just a record of the orderly way God has decided things will work and interact throughout the Universe. I can also now see that the elaborate ways with which God has created the Universe are too numerous to fully grasp, how it all interrelates is so complex and precise that mathematicians can spend their entire lifetimes trying to figure out, unlock and record them all! Katherine points out the dangers in teaching math apart from a Biblical view, which had never occurred to me before and every Christian parent should consider. I really liked her ideas concerning what to look for in a math curriculum and practical ways to approach math with your children. She covers most of the popular math curriculums out today and gives her brief perspective on them. I consider this book an airplane view to teaching math Biblically and theoretical with some practicality in the later pages. It's a great book to shift your thinking and challenge yourself to view teaching math differently then you may have ever before. The second book is Revealing Arithmetic. This book is for once you've completed your arial view and you're ready to taxi into the terminal! The book is written as more of a math textbook. It isn't a curriculum but it covers all the basic components of elementary mathematics after giving a brief overview of the concepts covered in depth from Beyond Numbers. Each math concept beginning with counting all the way to exponents & roots is covered. Katherine gives you a Christian perspective on how to see the mathematical concept as it relates to God, along with ideas on how to approach teaching it Biblically to your children. She points out the differences in counting systems in various cultures to make the point that the laws of math are of God even when the symbols used to understand them come from man. She skillfully weaves the concepts of theology and creation into her presentation of math. 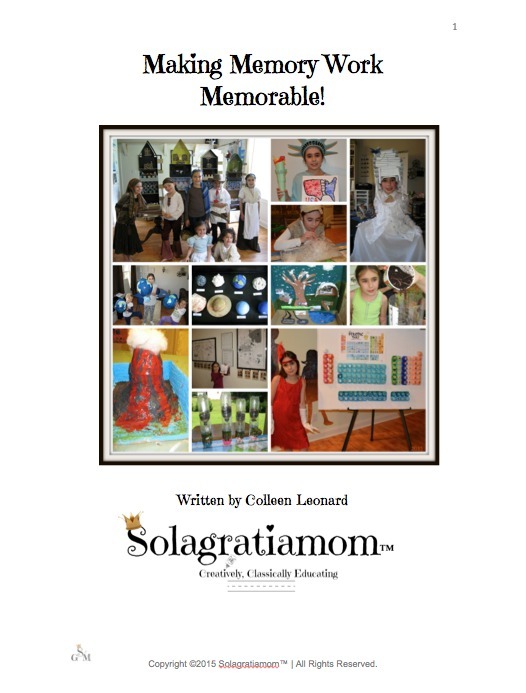 She also provides suggestions and actual teaching ideas - giving you practical ways to incorporate them into your child's educational experience. 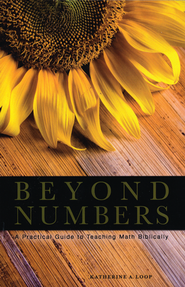 This is a terrific resource book to accompany any math curriculum you may already be using. There are two CD's that come with the homeschool package. The first CD is a great encouragement to Moms who are beginning their journey or are in a difficult season with their homeschool. She brings encouraging words and stories, constantly pointing you back to God as your sustainer and sufficiency to do the task laid before you. The second CD is a highlight concerning the information in Beyond Numbers. It reinforces the concepts presented in the book and provides encouragement as you endeavor to teaching your children math Biblically. I truly would recommend these resources to every Christian homeschooling family out there! 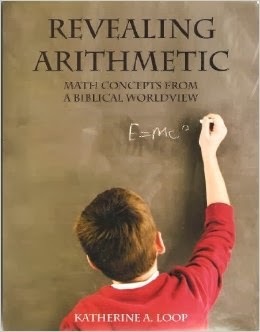 It is a must have for anyone wanting to teaching their children math from a Biblical worldview. The books are not technical and don't require you to already be a "math person" to be able to read and understand them. They are written in very plain language for the average person and the concepts don't require you to understand anything beyond elementary math. I am so thankful to Katherine for writing them! It has greatly encouraged me and shifted my thinking in a dramatic way regarding the teaching of math, as well as further deepened my belief in an infinite Creator and Sustainer God! In addition to her two books and homeschool package above, she also has a terrific website with helpful resources, Bible studies, encouragement, devotions and short stories for kids. You can visit Katherine's page at http://www.christianperspective.net/. You will be blessed for having done so! Disclaimer: My reviews are my own and not influenced by anyone. I did receive a free copy to review of each of the materials covered. Interesting. I hadn't thought much about how to teach math biblically, but since all truth is God's truth, it makes sense. Sola Gratia Mom is my favorite CC blog! ;) I'm so glad you are introducing me to this biblical insight on how we engage math from our home. Blessings! I would love to read those books. I have not really thought of math Biblically, so that would be really interesting to me! Do you have a blog page on facebook? I didn't see where to 'like' a facebook page. When I click on the fb logo it just takes me to sharing the post, not liking a page. Did I misunderstand? Great review! I've been thinking about a Biblical view of math too, and just reviewed Mathematics: Is God Silent. It's more of a historical-philosophical view, though, and these resources seem to be more hands-on. In any case, it sounds like they are all heading in the same direction.